On an average of 54 times each day in Texas, a traumatized child who is the victim of abuse and/or neglect, is separated from everyone and everything he or she knows to enter the foster care system. For weeks, months, and even years, the child will gather his or her few belongings in a trash bag and transition in and out of foster homes. Guardians, teachers, friends, attorneys, social workers, and judges will float in and out of his or her life with alarming regularity. But if he or she is very lucky, there may be one caring adult who never changes- a Court Appointed Special Advocate. A CASA worker. 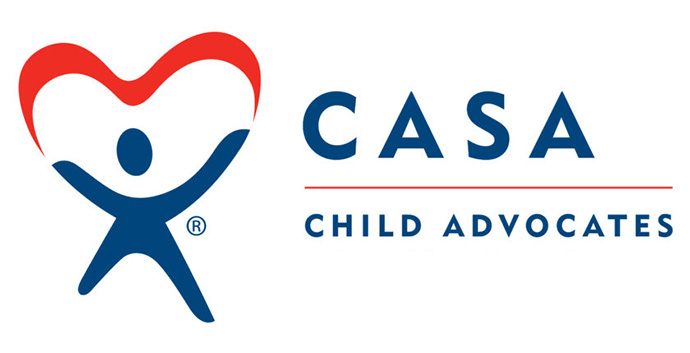 CASA is a national volunteer organization committed to advocating for children suffering from abuse and neglect. CASA workers are appointed by judges to be the eyes and ears of the court, and to advocate for the best interest of the child. Once a CASA worker has been assigned to a child’s case, he or she will remain with that child until he or she is placed in a safe, permanent home. An army of 10,424 Texas CASA workers valiantly served a little more than half of the 50,293 children in foster care in 2017. The numbers speak for themselves- there is a desperate need for CASA workers in Texas. “Our CASA office is responsible for three counties, two of which are very poor,” said Coldspring UMC CASA volunteer Terry Cook. “It is hard to get people to volunteer.” Cook, the president of her local CASA board, says her church is deeply committed to supporting foster kids through CASA. Each of the church organizations, such as UM Men and UM Women, supports CASA financially. The church is also active in raising awareness about the need for CASA workers, making regular pleas for more workers and hosting CASA 101, an informational and recruitment event, and ensuring that there is always a sign in the church foyer expressing the need for more advocates. Educate your congregation about CASA. Keep the need for more advocates in front of them through announcements, signage, and social media. Open your church to host CASA 101 recruitment events. Hold a fundraiser. Designate CASA as the recipient of special gifts for church anniversaries, Christmas, or other holidays. Suitcases and backpacks- No child should have to carry his or her belongings in a trash bag. Welcome Boxes- Many kids enter foster care with only the clothes on their backs. Welcome Boxes filled with basic items of new clothing such as underwear, socks, and t-shirts as well as toiletries, a blanket and a small game or toy, help ease the transition.